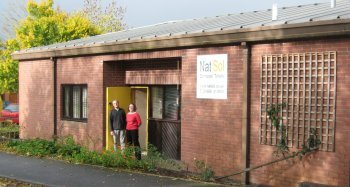 Based in Mid Wales, NatSol Ltd was started by Andy Warren and Nick Grant in 2005 following many years combined experience of designing and installing composting toilets. 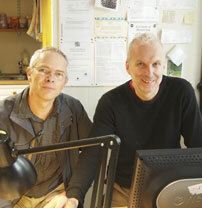 They met at the Centre for Alternative Technology in Wales with which they have long established links. We are committed to appropriate solutions and will not knowingly sell you a product unless we believe that it is the best solution for your situation based on the available information. It probably won’t surprise you that we think our products make a significant contribution to water conservation and pollution reduction, read more about our green credentials below. 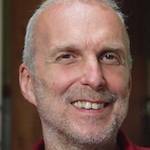 Andy has a first in Physics from Imperial College and has worked in ecological design and construction since the late eighties. This has included advising on energy conservation, with a particular interest in energy efficient refurbishment. 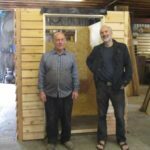 He has been designing, building and using compost toilets since 1993. NatSol evolved from this work . His innovative urine separation system was a major advance that solved a number of problems plaguing earlier experiments. Andy brings his scientific training and interest to the biology and ecology of composting. He is also a qualified psychotherapist. Nick runs Elemental Solutions, a consultancy specialising in sustainable building and water management. 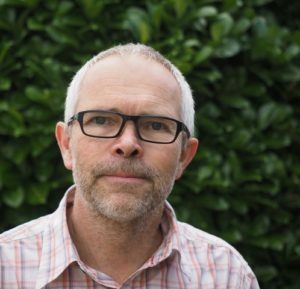 He is Technical Director of the Passivhaus Trust and a Trustee of the AECB. 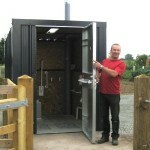 Trained as a design engineer, Nick has been interested in compost toilets since the early 80s. When he built his home around a waterless toilet adjoining the kitchen he had to be able to guarantee no odour or flies! 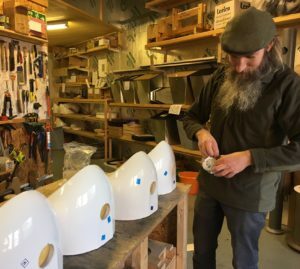 He brings this knowledge and his eco-minimal approach to product design to NatSol and is proud to have helped create what he believes is an excellent product. 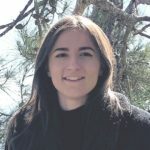 Ellen is the General Manager of NatSol. She had been Assistant Manager for a number of years and was promoted to General Manager in June 2017 when Chris Frost retired. 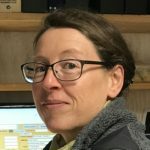 She is responsible for Natsol’s day to day administration which includes handling enquiries, setting up contracts, managing production, and stock control. She has been on site work and is quite familiar with the whole process from manufacture through installation to after sales support. Andrew is one of our IT people. He created and looks after the database and the links between that and other parts of our IT system such as stock control. 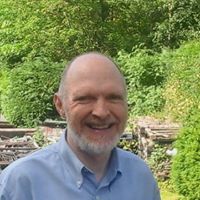 He is a keen Welsh learner and organises Clwb Siarad, the Friday evening conversation group in Llanidloes. Andy is also a Welsh learner and we do manage a bit of Welsh in the office from time to time! Bethan has recently taken over as book-keeper. 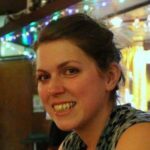 She also works for the Forest Stewardship Council UK which is based in Llanidloes. Rachael studied sustainable building services in which she gained an HND. 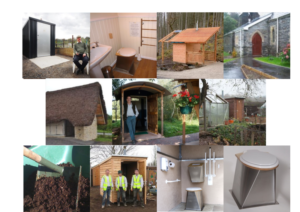 She also used a dual chamber composting toilet for 1 1/2 years when living ‘off grid’ in Mid Wales and loved it. Cornelius assists with production of small components in our own workshop. These include stainless steel pedestals and plastic items. He is seen here fitting wastes into urinals. Best known locally as a superb musician with a vast repertoire of traditional music. Also a Welsh learner. Paul Jervis of Chameleon Services masterminds the production of all steel and stainless steel components. This includes our box profile clad building – popular on sites where there is a risk of vandalism – and our toilet pedestal components. He is involved with product development. 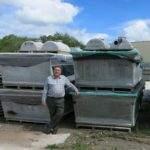 Dave Bratton is the General Manager of BCMGRC which manufactures our Glass Reinforced Concrete components. These are central to the function of the Full Access toilets. BCM is currently involved in helping us develop a new product for busy public sites. Dave is seen standing in front of some NatSol stock. Graham Jones (shown left) owns the family firm of joiners and builders, M Jones & Sons. He is responsible for manufacturing our timber buildings for the Full Access model. Andy Warren (shown right) is the MD of NATSOL. Most of our packaging is re-used plastic and card. We also use some wood-shavings which can be added to the vault as soak material. We use FSC timber when available & consider all timber sourcing issues. 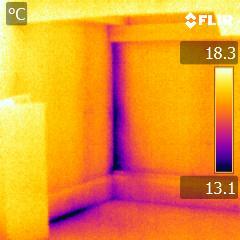 Thermal imaging used to identify air leaks in our insulated office.